A man accused of killing his mother with a baseball bat on Christmas has been arrested for murder, the Santa Clara County sheriff's office said. Deputies responded to reports of a domestic disturbance at an unincorporated Gilroy home around 11 a.m. At the Roop Road residence, they found a woman, identified as 70-year-old Claudia Salewske, with major head trauma, the sheriff's office said. Paramedics rushed the woman to a local hospital. Later, however, Salewske succumbed to her injuries while she was being treated, according to the sheriff's office. The woman's son, 39-year-old Matthew Salewske, was found at the house. Interviews and physical evidence led sheriff's deputies to arrest the man as a suspect in his mother's death. Salewske was booked into the Santa Clara County Main Jail on a murder charge. Claudia Salewske's death shocked the Gilroy community, of which she was an active participant. 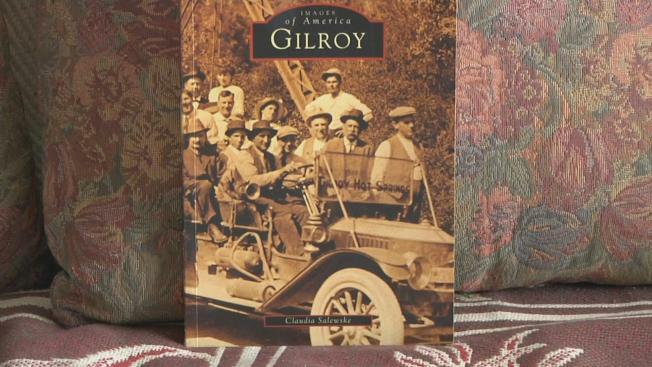 She was not only a longtime leader with the Gilroy Historical Society and wrote books about the community, titled "Pieces of the Past: A Story of Gilroy" and "Gilroy: Images of America." Connie Rogers, who presides over the Gilroy Historical Society, described the longtime educator at Gilroy High School and San Jose State University as a "community contributor." She was a "very gracious, thoughtful person who was always looking for others who needed a little extra helping hand," Rogers said. The owner of Gilroy's BookBuyers store said Salewske will always be a part of the community. "I'm just glad that she left books for us to read; it's her legacy," Hotranatha Ajayasaid said. "And she's going to be able to be known and appreciated a long time because of that."